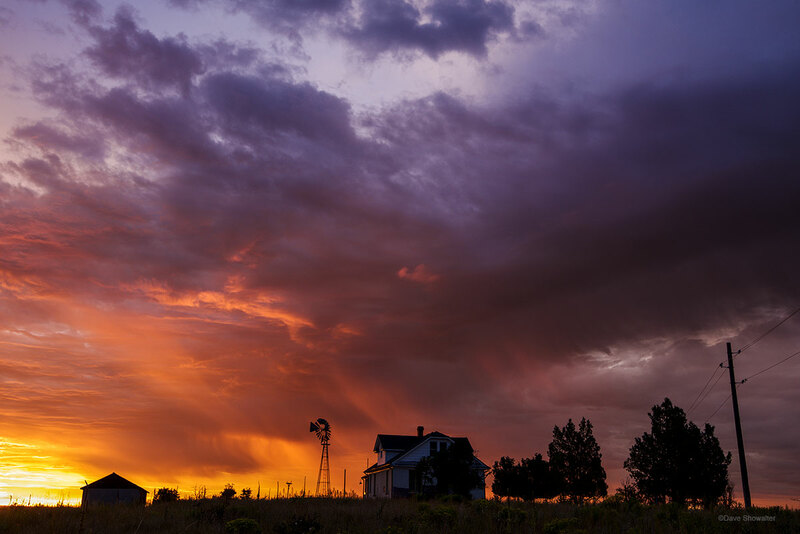 The historic Egli house with iconic windmill has seen many spectacular prairie sunrises since the early 20th century. Settled by Swiss immigrants Gottlieb and Rose Egli, who grew alfalfa and green beans on 500 acres, the land was turned over to the U.S. Army for WWII bomb making. The house and barn are the only buildings remaining from settlement in a story that has traveled full circle from roaming bison and nomadic Plains Indians, homesteading, bomb building and pesticide manufacturing, Superfund cleanup site, back to a refuge for wildlife and people. My friend Lucille Egli, who grew up in the house, was very proud to see the Arsenal become a place for people to experience the wonders of the shortgrass prairie. . Photo © copyright by Dave Showalter.